At the Feinstein Institute for Public Service at Providence College, an integral part of our mission is to “work collaboratively to increase an understanding of and promote positive, sustainable social and economic change through community building”. At the center of how we practice this mission—with our students, faculty, staff, and community partners—is experiential learning, grounded in community-engaged practices. 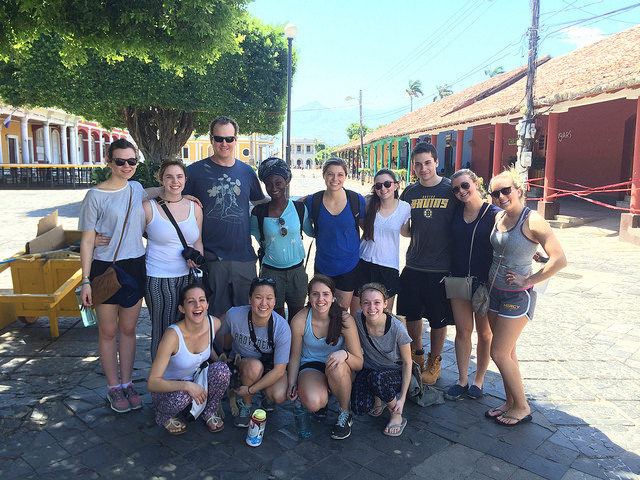 One of the Feinstein Institute’s core programs is our Global Service-Learning program, where Providence College (PC) students embark on international service-immersion experiences, which are embedded in a semester-long course at PC. These service-immersion trips serve as a central “text” of the course, which students analyze and reflect upon with their classmates, both while on the trip and on campus through weekly classes. 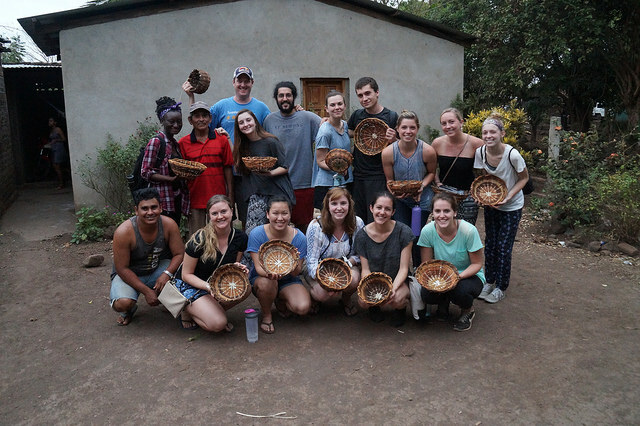 During a spring 2016 service-immersion trip through Unearth the World, our students were able to practice living out the Feinstein Institute’s mission through their work with Project Bona Fide on the Island of Ometepe in Nicaragua. Grounded in their time and experiences in Nicaragua, students spent the semester strengthening their understanding of social and economic issues, promoting positive and sustainable change, and building community across borders. Through the Sustainable Agriculture and Food Security global service-learning course, students spent the semester learning about agricultural systems, permaculture, food (in)security, and sustainable living. The course instructors, a Rhode Island-based farmer and business owner, and an international development practitioner and educator, incorporated a variety of community site-visits for their students to learn from, because too often, students are confined to the walls of a classroom, learning only from books and “experts” in the academy. This approach to experiential learning was fortified through interactions with local community members in Ometepe. While working with Project Bona Fide, PC students were exposed to new teachers—people who spend their days literally working the land, and fighting against issues of food insecurity and environmental degradation every day. Who better to learn from than folks who are immersed in these issues every single day? Thus, one of the most compelling aspects of course-embedded global service-learning programs is how course material comes alive through an international immersion experience. In the case of the Sustainable Agriculture and Food Security course, students were able to witness sustainable agriculture first-hand at Project Bona Fide, while learning from farmers and community members about how issues of sustainability and food (in)security affect their daily lives. 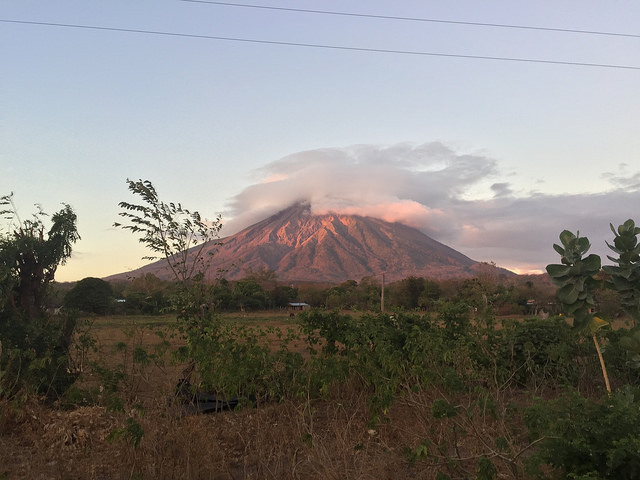 At the Feinstein Institute, we try our best to connect the local to the global, to support students’ development and understanding of how their own lives in Providence, RI might connect with someone’s live on the Island of Ometepe in Nicaragua. Our partnership with Unearth the World and Project Bona Fide provided this tangible global-local connection, which in turn supported our students as they reflected on how to promote positive and sustainable change in their own communities. Through these (and other), student reflections, it is clear that the experiences students had in Nicaragua had a transformative impact on them, and will stay with them for the long-term. The basket weaving workshop allowed PC students to engage with the local community! The very structure of a global service-learning course also supports the building of a diverse learning community of students, instructors, and community partners (both locally and globally). And this leads to perhaps one of the most unique aspects of our trip: how deeply PC students were able to connect with folks at Project Bona Fide. In my experience, when working with a third-party service provider, it’s easy for participants to feel distance between themselves and the in-country host organization. After all, the third-party provider is the one who works tirelessly to build relationships with both in-country host organizations, and the visiting service-learning students/university. But instead of feeling like there was a clear “middle (wo)man”, our students didn’t feel the distance, and instead were able to build relationships directly with Project Bona Fide, both with the organization and individual community members. This is one of the reasons I think Unearth the World’s model stands out in the global service-learning field: while this service-learning experience was facilitated by Unearth the World—having connected us with Project Bona Fide, and coordinating the logistical and programmatic pieces—I was struck by how seamlessly community building occurred between Project Bona Fide and Providence College. The ability to facilitate relationships between volunteers and host communities, without being physically present or at the center of the experiences, is quite unique in this field, and is something I am extremely grateful for in our partnership with Unearth the World.